Yuzen, you've enraptured us. 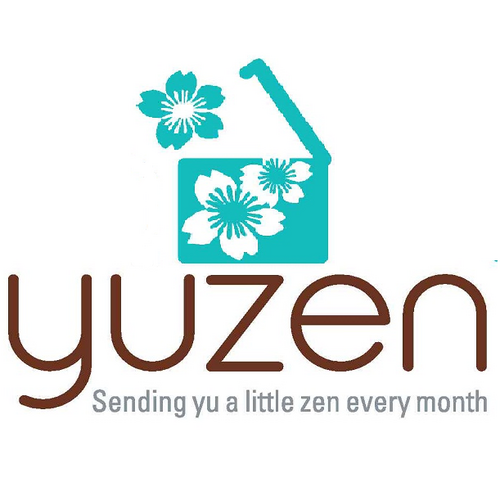 Seriously, when we unboxed the joy and magic that is the Yuzen Box we were transfixed. Literally stuck. When we realized this, we looked around the room for a quick return to reality. Had a complete stranger actually sent this box of good things, for us to review? Yes. Yes, they had. There were two boxes inside of a bigger box. One of these was the Yuzen Box and the other was the Subscription box. Both of these may be had for $33.00 a piece and this includes shipping. 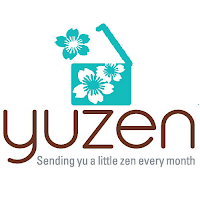 The Yuzen slogan is, "Sending you a little zen" and that's exactly what Yuzen does, via aromatherapy items, edifying items for your temple and the feeling that one gets upon receipt. Yuzen also does this with the very intention that is Yuzen. It sounds corny, even as we write this. However, it's true. You feel loved, which only stands to reason. Let all that you do be in kindness towards yourself and others. Intention should proceed endeavors of any importance. What you bring in to your life should reflect what is on the inside of yourself.